It was a few years ago that Bosch gave us a first look at their future plans of getting into wireless inductive charging. The first we saw of it was a video demonstrating the technology at CES 2010, and later they gave another preview at one of their press events. Though it has taken some time, Bosch inductive wireless charging will finally be available later this month. Some of you may already be familiar with wireless charging because what Bosch is using is similar to what Palm used to wirelessly charge some of their phones and tablets. Later, Google made inductive charging available for some of their Nexus Phones. Inductive charging uses an electromagnetic field to transfer energy between two objects, usually a charger and a device. Coils on both the charger and the device combine to form an electrical transformer which allows the energy to transfer from one to the other. Inductive charging is referred to as wireless charging because no actual wires are connecting the two coils together, but I doubt you will get any range of more than a few centimeters out of what Bosch is releasing. In my experience with Palm’s wireless charging system I was able to hover my tablet maybe ½-inch away from the charge and not lose power. 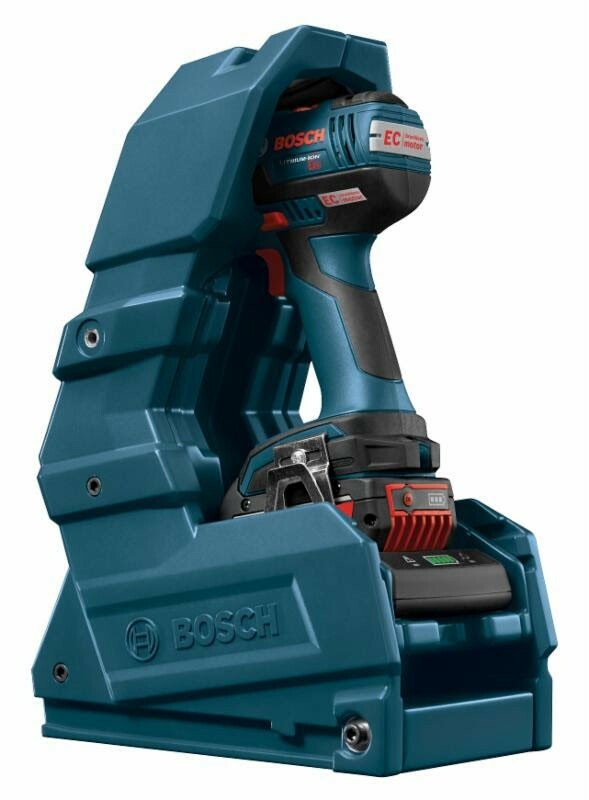 WCBAT612 - Built off the same technology that is currently available in Bosch batteries, with CoolPack technology and high-efficiency cells, the new WCBAT612 features the wireless charging coil, and a charge-level indicator. WC18C - The Wireless Charger will charge the WCBAT612 to 80 percent capacity in about 30 minutes and 100 percent in 50 minutes. It features charge status indicator lights for easy recognition. 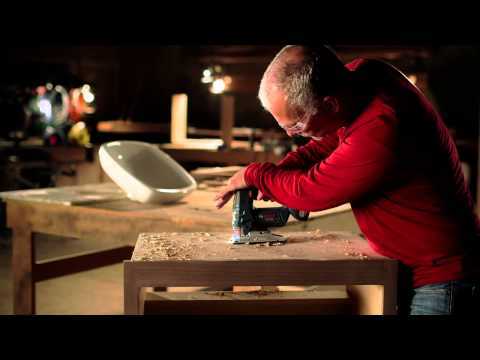 WC18F - A Frame designed to mount the charger to workbenches, shelves, side walls or other work surfaces. It also serves as a flexible and secure holder for the battery or tool and battery (on horizontal surface). WC18H - A complete tool and charger holster built into one package. This seems like to most ideal way to store and charge a tool where it can be easily accessed and used throughout the day. Users can customize how they mount the holster to best fit their work style - vertically or horizontally, on a stationary workbench or in a truck or van. WC18CH - A Kit that includes the WC18H Holster, and WC18C Charger. CLPK233WC-02 - A kit that includes the DDS182 Drill/Driver, IDH182 Impact Driver, WC18C Charger, WC18F Frame, and two WCBAT612 batteries. DDS182WC-102 - A kit that includes the DDS182 Drill/Driver, WC18H Holster, WC18C Charger, WC18F Frame, and one WCBAT612 battery. IDH182WC-102 - A kit that includes the IDH182 Impact Driver, WC18H Holster, WC18C Charger, WC18F Frame, and one WCBAT612 battery. 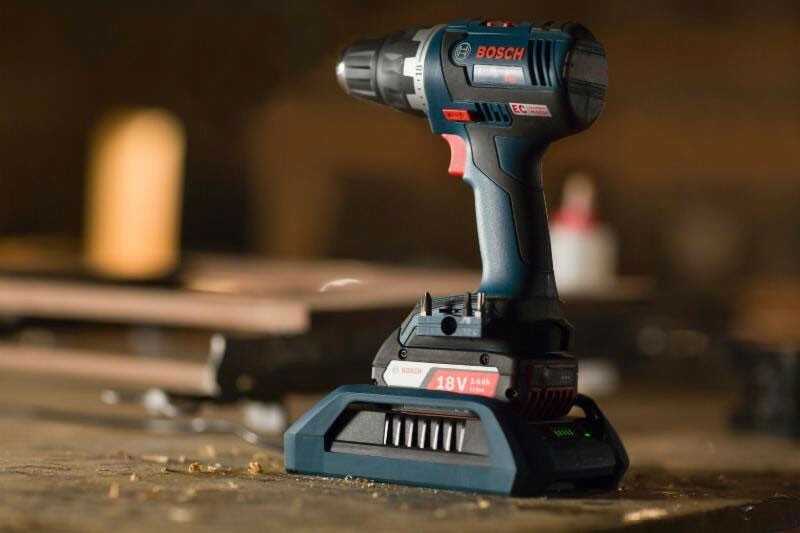 While I am sure Bosch has big ideas on how they can push to expand their Power Ready Wireless Charging System into different areas of tools and construction, their initial launch is enough to test the waters and see how consumers react. I see Bosch’s Wireless Charging System as being an invaluable tool to people that work in shops. 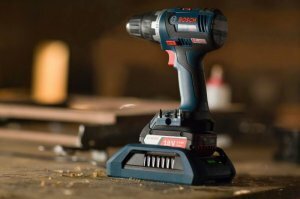 The ability to have a tool recharge every time it is set down is going to be a huge time saver and it pretty much eliminates the need of having more than one battery per tool. I am not sure how well the system can be used on jobsites, but having a wireless charger in your truck to charge between jobs could be another huge benefit. We saw Bosch mount a holster in a van at one of their demos, so maybe a DC wireless charger is in the works.